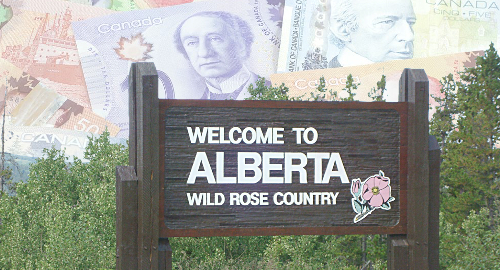 Alberta appears set to become the next Canadian province to launch online gambling operations under its local government monopoly. On Friday, CBC News reported that the provincial government's Alberta Gaming, Liquor and Cannabis Commission (AGLC) had quietly issued a request for proposals for technology suppliers to power a proposed digital gambling offering. The RFP, which envisions both desktop and mobile gambling options, has reportedly received favorable responses from "a handful of companies," the identities of which weren’t specified. Alberta has been flirting with approving online gambling for a few years now, but never seems to follow through. AGLC senior communications officer Chara Goodings now claims that the plan is about "providing a safe place" for Albertans to gamble online, although everyone knows it's really about boosting government revenue. Goodings told the CBC that the government hopes to repatriate a good chunk of the estimated C$358m (US$270m) that Albertans currently spend each year with internationally licensed online gambling operators. Earlier this month, the AGLC reported that the province's revenue from video lottery terminals, casino slot machines and electronic bingo — other gambling products, including casino table games, fall under a separate 'charitable gaming' category – totaled C$1.736b in 2018, a mere C$4m improvement over 2017's result but marking the first annual rise in three years. The AGLC's revenue peaked at C$1.9b in 2015, after which the price of oil started sliding, taking with it the discretionary income of many residents of this energy-reliant province. Alberta's cash-strapped government, which faces an election this spring, has been struggling to find additional revenue streams. Notwithstanding Canada’s three northern territories, Alberta's online launch would leave only Saskatchewan as the sole province without some form of online gambling. British Columbia, Quebec, Ontario and Manitoba all offer a broad spectrum of online gambling products, while the four Atlantic provinces offer only online lottery sales. Saskatchewan's status as an online laggard is truly ironic, given that this site's founder – one of the industry's unquestioned pioneers way back in the 1990s before the siren song of cryptocurrency led him astray – was born and raised in northern Saskatchewan. Seems he took all their online gambling ambition with him when he left, which could explain why he was so good at it. The post Alberta taking yet another look at legal online gambling appeared first on CalvinAyre.com. An affiliate of Macau's leading casino junket operator Suncity Group has moved its corporate headquarters next door to Primorye casino operator Summit Ascent Holdings. On Thursday, Summit Ascent's board of directors informed the Hong Kong Stock Exchange that it had relocated its principal place of business to Unit 1704 on the 17th floor of the West Tower of Hong Kong's Shun Tak Centre, a commercial complex built by former Macau casino icon Stanley Ho. On Friday, Suncity Group Holdings Ltd announced that it had relocated its principal place of business to Unit 1705 on the 17th floor of the West Tower of Hong Kong's Shun Tak Centre. In other words, the two companies are now next-door neighbors. It's unclear precisely what this means for the future of both companies, but their mutual leadership apparently sees value in eliminating the space between them. Last November, Summit Ascent appointed Suncity's chief investment officer Andrew Lo Kai Bong to its board as a non-executive director. At the time, Suncity held a 3.29% stake in Summit Ascent, which operates the Tigre de Cristal casino in the Primorye gaming zone near Russia's far eastern port of Vladivostok. Two months before that appointment, Summit Ascent reported that Tigre de Cristal's VIP gambling turnover had fallen 22.5% in the first half of 2018, in part due to squabbles with junket operators seeking higher rebates. Summit Ascent said it was resisting these demands, choosing instead to focus on its premium mass gaming sector, but perhaps the company has had a change of heart. Suncity Group Holdings is technically a separate entity from the privately held Suncity Group, which claims a 40% share of Macau's casino junket business. But both companies are majority controlled by Alvin Chau. Suncity Group Holdings was set up as a travel company to help ferry gamblers to casino locales where its junket sister firm has connections. But the company is also involved in a number of casino development projects in Vietnam and Cambodia. Summit Ascent was once dominated by Melco International boss Lawrence Ho, but he sold his entire holdings in the company and stepped down as chairman in late-2017. Some of Ho's shares were acquired by Taiwan-based shipping firm First Steamship Co Ltd. 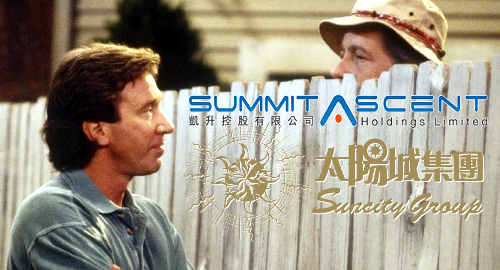 The post Summit Ascent, Suncity Group new Hong Kong neighbors appeared first on CalvinAyre.com. ZEAL Network shareholders have approved their company's plan to acquire digital lottery broker Lotto24, rejecting a rival plan from online lottery betting operator Lottoland. On Friday, Zeal held a general meeting in London, after which the company announced that 60% of its shareholders had approved necessary preconditions for the proposed acquisition of Lotto24, a former ZEAL subsidiary that was spun off into a standalone entity in 2012. 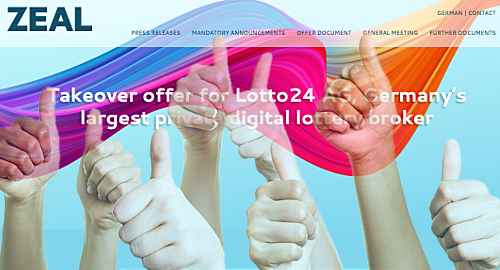 Following Friday's vote, ZEAL CEO Helmut Becker congratulated shareholders for sharing the company's vision of uniting ZEAL and Lotto24 to create "the leading private digital lottery broker in Germany." Becker claimed the proposed acquisition will create "significant value" for shareholders of both companies, their customers, German states and their lottery beneficiaries. ZEAL said it would now proceed with its formal pitch to Lotto24 shareholders and expects the acceptance period for the takeover offer will start by the end of this month. ZEAL shareholders also narrowly voted 51.4% in favor of waiving the requirement for the Günther Group – which will hold a 30% share of the combined group after completion of the Lotto24 acquisition – to make a full takeover effort for ZEAL. Günther Group was not allowed to participate in this vote. ZEAL's efforts to reacquire Lotto24 were complicated by Lottoland, which holds a 5.5% stake in Zeal and last week announced a rival plan to acquire ZEAL's German-facing 'secondary lottery' unit Tipp24.com, which generates most of ZEAL's revenue. ZEAL plans to morph Tipp24 into a legal reseller of lottery products to eliminate uncertainty regarding Germany's efforts to crack down on lottery betting operators. Lottoland CEO Nigel Birrell issued a statement expressing disappointment with the results of Friday's vote and repeating his claim that the Lotto24 acquisition was the wrong step for ZEAL. Birrell pointed to the squeaker vote regarding Günther Group to buttress his claims that shareholders hadn't given ZEAL "a clear mandate" to proceed with the acquisition. The post ZEAL shareholders okay plan to reacquire lottery broker Lotto24 appeared first on CalvinAyre.com. There's an old saying that I'm quite fond of, "Shut up and take my money." It's a fairly simple sentiment. I have money, I want what your offering, so let's just get this over with. It's an idea that frequently applies to online gambling. The player wants to get their bets in urgently, they have money, and there shouldn't be anything more complicated than exchanging the money for a wager. Now, the best way for operators to take that money is to start accepting Bitcoin SV (BSV). Most operators will have several deposit options available to their players. There are the more direct options, like credit cards; however, they are subject to fees and the likelihood that banks will deny the transaction. Some accept direct bank transfers, but that can require a bunch of information and maybe an extra call to the bank to set it up. Then there are the third party wallets, like Neteller, which also requires set up, includes fees, and is fraught with other problems. The crucial problem with all of these options are they are dependent on a third party to help move the player's money along. If they fail to do that, or simply don't want to, then the player is more likely to start shouting that old saying I like more forcefully, and they'll likely be saying it to the operator. Without a doubt, the easiest way to break down these barriers, and make it easy for both the player and the operator, is to deposit with BSV. Without any middleman to say no, BSV allows the operator to just take the money. The player can start wagering with their funds in seconds, guaranteed, as BSV is built to massively scale to the demands of the network, and won't fail or slow down when you need it most. 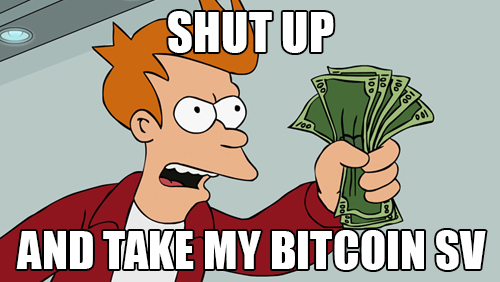 Like the third party wallets, there will be some setup, but then it has all of the benefits and none of the negatives of any other option. Depositing should be easy. Operators want to collect deposits, and players just want to make their bets. We know customers want to use Bitcoin, and BSV is the only option that follows the original Bitcoin vision of digital currency. Once BSV gets going, fewer players will be doing impressions of my favorite expression. The post Deposits can be easy with Bitcoin SV appeared first on CalvinAyre.com. ICE London 2019 is only a few weeks away, and there's a lot to be excited about. With a free registration, there's plenty to soak in. Taking place from February 5 to 7, 2019, a free entry to ICE can get you access to the ExCel in London, UK, and open the doors to countless networking opportunities. There's plenty to see with your visitor's badge too. The "Consumer Protection Zone" (CPZ) exhibit will be offer several free seminars throughout the entire conference, and will demonstrate a "Responsible Player Journey," the story from game development, to release, and even to self-exclusion and blocking. The free "Diversity & Inclusion Day" seminar will run from 10:30 a.m. to 4:30 p.m. on February 6 in the South Gallery. It will focus on the challenges of creating a more diverse industry, and the benefits of inclusion. Also on February 6, from 11:00 a.m. to 12:30 p.m. is the "Research Exchange in association with UNLV." This free seminar will focus on bringing more evidence and data-based decisions to the gambling industry. A handful of research projects will be presented, and the audience gets to vote on the winning project. Sounds fun! If you're looking into expansion or new markets, the "Sports Betting in New Markets & in Indian Country" seminar will be available between 10:30 a.m. and 4:45 p.m. on February 6. ICE's website notes that this is a great seminar if you're new to the industry and from an emerging market. Each day of the conference, the Totally Gaming Academy will be providing free samples of their courses. This is a great opportunity to learn some fundamentals of the industry, or learn something new and reach your full potential. Courses start as early as 10:30 a.m., and arrive early because seating is first come first serve. If that's not enough for you, you can also checkout ICE VOX, which will offer 120 speakers for entry fees starting at £799. Get yourself registered for ICE London here. The post ICE London 2019 offers invaluable seminars—for free appeared first on CalvinAyre.com. 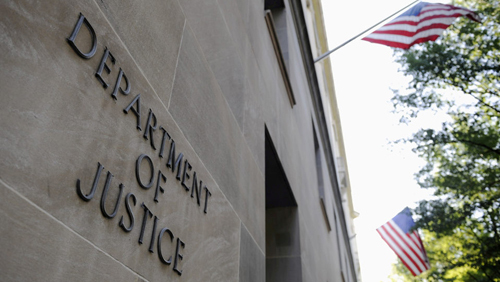 The U.S. Department of Justice (DOJ) recently decided to change its position of the Federal Wire Act. Whereas it previously said that the act was only applicable to online sports gambling, it now asserts that its previous opinion had been misinterpreted and that all forms of online gambling fall under the auspices of the act. How or why it took eight years for the DOJ to issue this correction is anyone's guess, but industry experts are pointing out that federal prosecutors are going to have a difficult time shutting down online gambling operations if they try to use the Wire Act in their prosecution. The DOJ would first need to update its prosecution manual to include its new opinion. In speaking with Casino.org, a former supervisor for the DOJ's Criminal Division, and current attorney at the O'Melveny & Myers law firm, each pointed out that, without inclusion of the opinion, prosecutors would not have a case. The attorney, Laurel Loomis Rimon, stated, "Revised guidance can certainly be provided within 90 days." However, the DOJ has already stated that it will allow a 90-day grace period to allow for any public discussion on the matter. Rimon also stated that the DOJ's Organized Crime and Gang Section (OCGS) could "simply hold prosecutors from bringing the charges for a longer period if there is a feeling that 90 days is really not enough time to allow reasonable efforts to come into compliance with the law in any particular case." The OCGS is part of the department's Criminal Division and was created in 2010 when the Organized Crime and Racketeering Section merged with the Gang Unit and the National Gang Targeting Enforcement & Coordination Center. The group is tasked with combating all types of organized crime. The lawyer adds that a DOJ enforcement action per the Wire Act may not be binding in a federal court. She explains that a federal judge could rule against the prosecution simply because he or she doesn't agree with the DOJ's opinion. A gaming law attorney and professor at the University of Nevada Las Vegas law school, Anthony Cabot, points out that some federal appeals courts have already determined that the Wire Act doesn't apply to non-sports gambling. He states, "So, as a matter of law, I am not sure anything will necessarily happen without further litigation, which I believe will ultimately be decided along the reasoning of the 2011 opinion and the circuit court decisions." His position was seconded by the co-founding director of the University of New Hampshire School of Law Sports Wagering & Integrity Program, Daniel Wallach, who told Casino.org that a federal judge often only "looks to precedent to interpret the law." The judge would be more inclined to adhere to the interpretation of an appeals court judge, rather than to the opinion of the DOJ that, in his words, could be "infected by the political process." Rimon adds, "An OLC [Office of Legal Counsel of the DOJ] opinion is a legal interpretation that guides [the] DOJ in determining whether to consider certain activity as illegal or not. "An enforcement action, which may refer to a criminal investigation or indictment, or a civil lawsuit brought by main DOJ prosecutors or a US Attorney's Office, requires specific proof of a violation of law by specific individuals or entities, and the bringing of charging documents or a civil complaint in a federal district court." Depending on how the saga plays out, a number of states have already indicated that they are prepared to fight for their rights to offer gambling activity should any federal prosecutor try to intervene. Given that the Supreme Court, the highest court in the land, has already ruled that individual states have the right to establish their own gambling programs, the DOJ could be looking at having to swallow its pride – and its opinion. The post Prosecuting under the updated U.S. Federal Wire Act won’t be easy appeared first on CalvinAyre.com. Malta, 18th January 2019 – Island Luck, the leading lottery and casino in the Bahamas, will manage all of their customer interactions through FAST TRACK CRM. Impressed with FAST TRACK CRM's real-time marketing abilities and the potential to reduce the grunt-work for their CRM team, Island Luck said the decision was easy to make. "FAST TRACK CRM is designed with the online gaming industry in mind and will allow us to communicate with our players at just the right moment," Sebas Bastian, CEO of Island Luck, said. "We couldn't be happier to work with a company that truly understands the challenges and opportunities of our business." "When we started building the tool, we hoped that it would transform the way our CRM team worked," Simon Lidzén, CEO of FAST TRACK, said. "When we decided to license it out, we made sure that it was ready to redefine customer experience in iGaming. "We are thrilled to bring on board Island Luck. 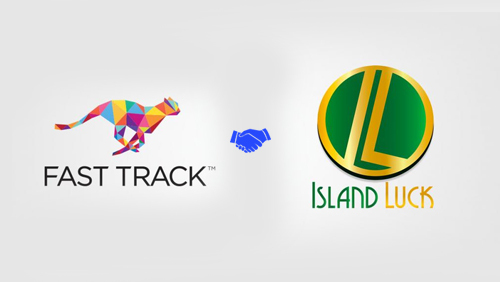 This partnership goes much deeper than CRM as it will also involve a complete enhancement of Island Luck's Loyalty system. 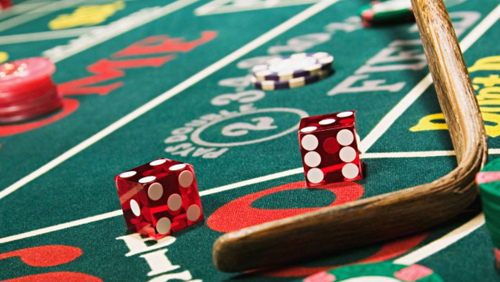 "FAST TRACK CRM is paving the way for the future of CRM in iGaming, and Island Luck will be one of the first to make the change." The post FAST TRACK signs Island Luck appeared first on CalvinAyre.com. Lotteries in India are always a sensitive subject. Going back a number of years, there have been conflicts over sales, revenue and non-payment of taxes. Now, the country's GST (Goods and Service Tax) Council, in its first meeting of the year a week ago, is recommending that the government create a new panel to review GST rates, as well as all tax issues that arise from the sale of lottery tickets. The council wants the group to be comprised of state ministers. It will include eight ministers and would be led by the Finance Minister of Maharashtra, Sudhir Mungantiwar. Joining him in the so-called Group of Ministers (GoM) will be West Bengal Finance Minister Amit Mitra; Kerala Finance Minister Thomas Isaac; Assam Finance Minister Himanta Biswa Sarma; Punjab Finance Minister Manpreet Singh Badal; Goa Panchayat Minister Mauvin Godinho; Karnataka Finance Minister Krishna Byre Gowda, Arunachal Tax and Excise Minister Jarkar Gamlin. The GST Council laid out its Terms of Reference (ToR) for the panel, stating that one of the goals will be to determine if the current dual tax structure of existing state-authorized and state-run lotteries should be continued, or if a new, uniform rate could be implemented for both. The ToR also stipulates that the GoM determine whether private individuals appointed by the states are abusing the lower rate for their own financial benefit, depriving the jurisdictions of their rightful share of the profits. The group would need to formulate plans to prevent any possible abuse. The GoM will also probably be tasked with examining issues regarding the enforcement of lottery rules, including the possible creation of a legal framework, that could be used to prevent lottery tax evasion. One of the possibilities to aid in that prevention could be the creation of a single tax rate that would make it easier to track sales and revenue. A number of lottery operators have tried to circumvent having to pay GST on lottery sales. There has been a string of arrests across the country after police discovered that the operators were handing out handwritten lottery tickets, instead of printed official tickets, in an effort to avoid paying the tax. Depending on how quickly the GoM can get organized and begin its crackdown, it's possible that it could introduce its findings before the next meeting of the GST Council. The date for that meeting has not yet been established. 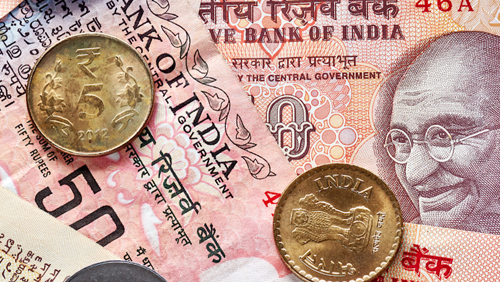 The post India’s GST Council to consider adjusting lottery tax rates appeared first on CalvinAyre.com. Friday 18th January 2019: Star Sports Group has expanded its product services with the launch of a new recruitment agency that aims to provide staffing solutions for the global gambling industry. Star Recruitment, headed by Chief Executive Simon Banks, has been set up to offer exciting opportunities to industry professionals and graduates looking to progress their career path in one of the world's fastest-growing industries. 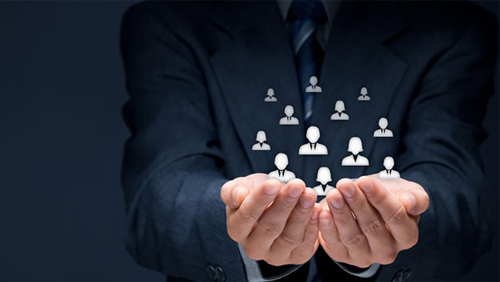 Vacancies available through the new service will cover a wide range of job functions, including marketing, product development, sales and trading. The launch of Star Recruitment further diversifies the Star Sports Group offering, which is one of the most respected brands within the gambling sector. From on-course and retail operations, Star Sports has grown to include telephone credit and debit betting, online sports betting, spread betting and bookmakers' services, including white label and affiliate programs and hedging. Star Sports Founder, Ben Keith, said: "These are very exciting times for the global gambling industry and there are some great opportunities for professionals to develop their career in places all around the world. "As Star Sports has expanded, we have recruited a lot of staff at all levels, so we understand the challenge that operators face in securing the best talent. "We are seeing new jurisdictions opening up, such as the legalising of online sports betting in a number of US states, which means the search for the best talent available will become increasingly important." Star Recruitment Chief Executive, Simon Banks, added: "Star Recruitment is a logical extension of the Star Sports brand and we aim to adhere to the core values of our parent company: honesty, integrity and discretion, as we grow the business. The global gambling industry is facing a future of rapid expansion and operators will need to source the talent required to meet market demands. "The gambling industry offers excellent career opportunities for people from diverse backgrounds with different talents and experiences, and we look forward to helping them find the perfect job." Star Sports are the UK's leading luxury bookmaker, originally launched as Star Racing in 1999. 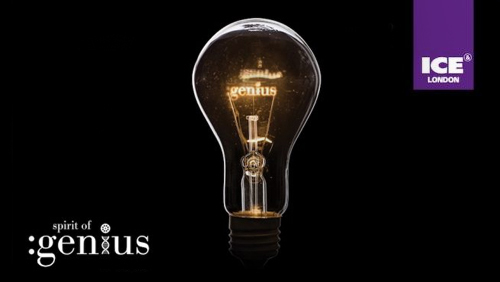 The 'Gentleman's Bookmaker' now offer a fully interactive betting experience for desktop, mobile and tablet at www.starsports.bet, telephone betting, a prestigious betting shop in London's Mayfair and have prominent racecourse betting pitches, including at the headline events of the year: the Cheltenham Festival, Royal Ascot, Glorious Goodwood and recently Curragh. Star Sports are also the current sponsors of the English Greyhound Derby, which was staged for the first time at Towcester in 2017. Star Sports, founded and owned by Ben Keith are also regular race sponsors of UK horse racing events. Star Sports provide a content and news site at www.starsportsbet.co.uk with daily offers, video interviews and blogs from their brand ambassador Davy Russell who brought readers exclusive thoughts during the 2018 Cheltenham Festival where he was top jockey and just a few weeks later Davy won the Grand National at Aintree onboard Tiger Roll. The post Star Sports Group launches industry recruitment agency appeared first on CalvinAyre.com. After starting the year with a softened outlook, a couple of casino operators in Macau have just received a boost. Analysts with the Sanford C. Bernstein brokerage have revised their ratings for both Galaxy Entertainment Group and Sands China, basing their new position on the companies' current valuations and forecasts capacity expansion. Gross gaming revenue (GGR) in Macau is expected to slow considerably over the next 12 months. It grew 18% from 2017 to 2018, but is now predicted to only increase 3% over the next year. Despite this contraction, Bernstein said in its "Gaming 2019 Outlook" today that the overall picture for the casino industry in Macau remains positive. According to the analysts, Vitaly Umansky, Eunice Lee and Kelsey Zhu, "On a longer-term fundamental view, Galaxy now looks relatively inexpensive, especially factoring in Phase 3 and 4 developments of Galaxy Macau. "Galaxy continues to improve its Mass operations at Galaxy Macau and StarWorld while maintaining a leadership position in VIP. While the VIP segment is most at risk of considerable slowdown over the next 6 to 12 months, over the medium term, the key value driver is operating leverage improvement and improving business mix, which will enhance margins. "Over the long run, with the future development of Galaxy Macau Phases 3 and 4, the company stands to have outsized growth." The analysts continued, "We continue to look favorably upon Sands China's management team, product positioning and strategy focused on Mass market, a strong balance sheet and hefty dividends. "Redevelopment of Sands Cotai Central and upgrades at the Parisian will help boost its high margin Premium Mass business. The long-term (beginning in 2020) growth story from hotel suite capacity expansion and the Londoner redevelopment is evident. Sands China's valuation look attractive for a stock that consistently trades at a premium to Macau gaming stocks and is now trading well below its historical average." The slowdown in the market has been attributed to a couple of factors. The casino smoking ban first announced in 2017 finally went into full effect as of January 1, which is expected to keep some gamblers away from the casinos in the short term. Ripple effects from the trade way between the U.S. and China are also being felt in Macau, resulting in a reduction, albeit a slight one, in visitation in spending. Fallout from the unraveling of an alleged point-of-sale scam that was used to evade China's currency export controls is also expected to impact revenue. The post Galaxy, Sands get a nod from Bernstein analysts appeared first on CalvinAyre.com. 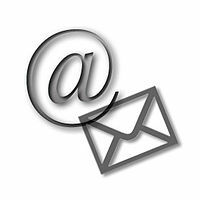 You are subscribed to email updates from CalvinAyre.com.